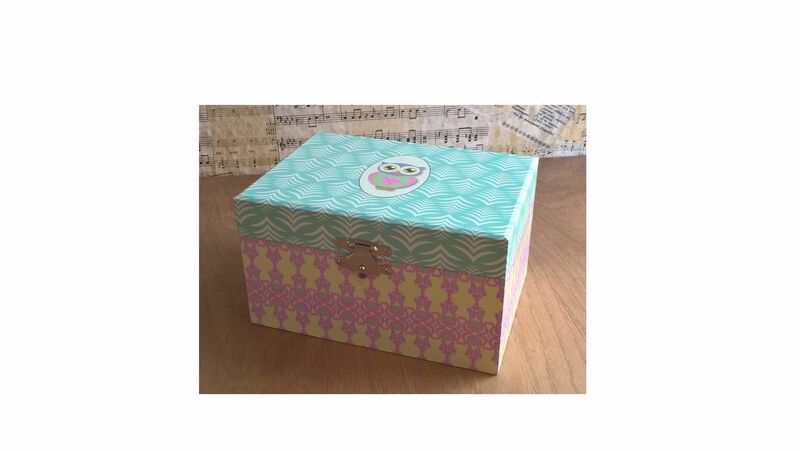 A very pretty musical jewellery box. 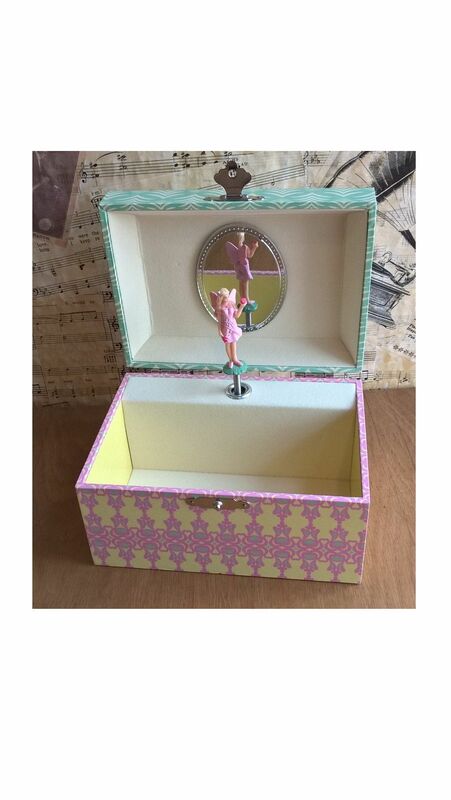 This very pretty musical jewellery box is an ideal present for girls, with a fairy figure that pops up and revolves to the music when the lid of this music box is lifted. The colourful design is complimented with a pale yellow velvet interior. 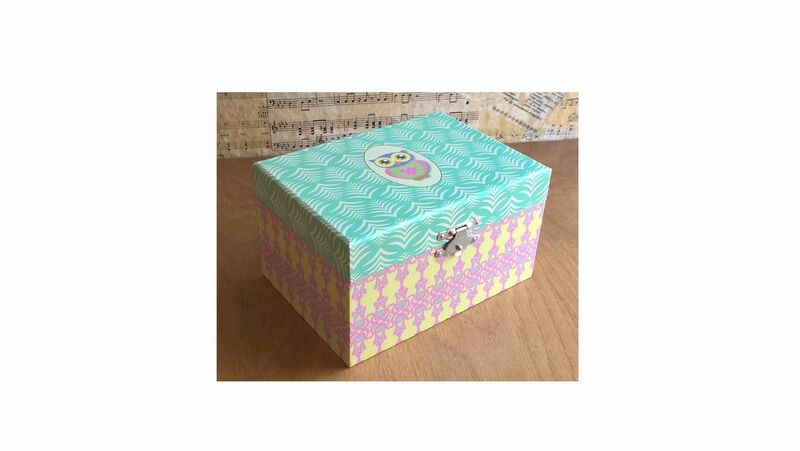 These musical boxes are made from a thin wood board and covered in a glossy printed paper with colourful designs. The music box has a velvet lined interior. It is fitted with a clockwork musical movement wound by a key at the back of the box leaving room at the front for jewellery. This musical box plays the tune 'Moonlight Sonata'. 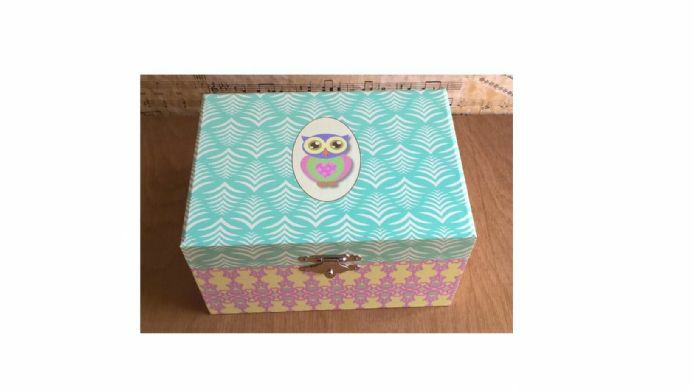 Approx Size : 150 x 106 x 84mm.